Every patient will go to through comprehensive screening by the physiotherapist in order to ensure that spinal decompression is appropriate treatment modality. In most of the cases the physiotherapist will provide additional treatment which may include spinal manipulation, acupuncture and therapeutic exercise. Unlike many clinics, we do not charge anything extra for spinal decompression treatment – it’s all included in your regular physiotherapy treatment fees! Spinal Decompression Therapy is available at both our locations. Please call for more details. 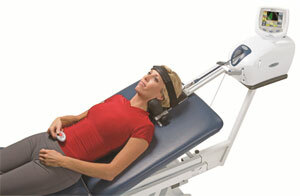 Spinal Decompression is a non-surgical, comfortable therapy for the treatment of back and neck pain. This procedure involves cycling through distraction and relaxation phases and by proper positioning, a pressure on spinal nerves and joints can be relieved. 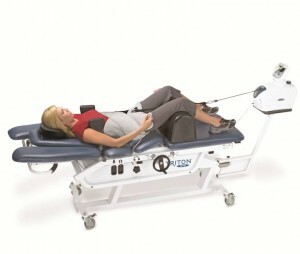 We are using Triton DTS Decompression Therapy System which is the gold standard for spinal decompression treatment. Unlike older traction machine that create static and generally unpleasant pull, Triton DTS creates a modulated intermittent pull that is more clinically effective and comfortable to the patient.